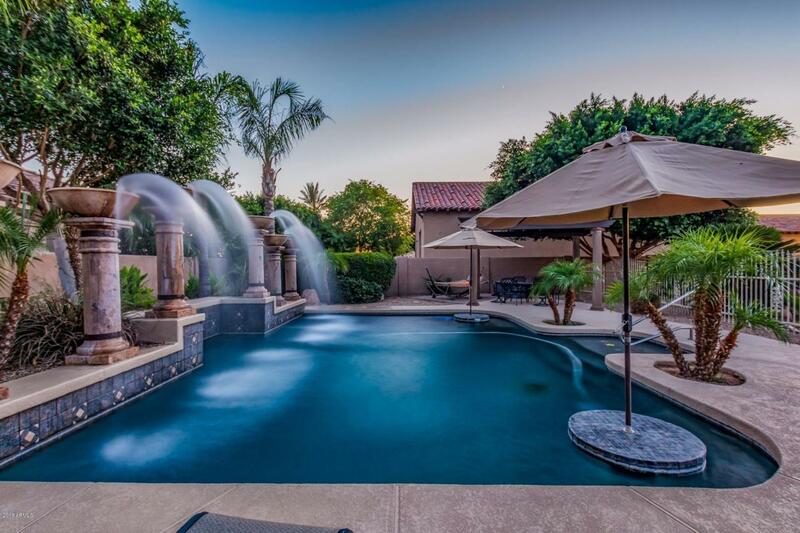 Fabulous 5 bed/4 bath, nearly 4000 square foot home! 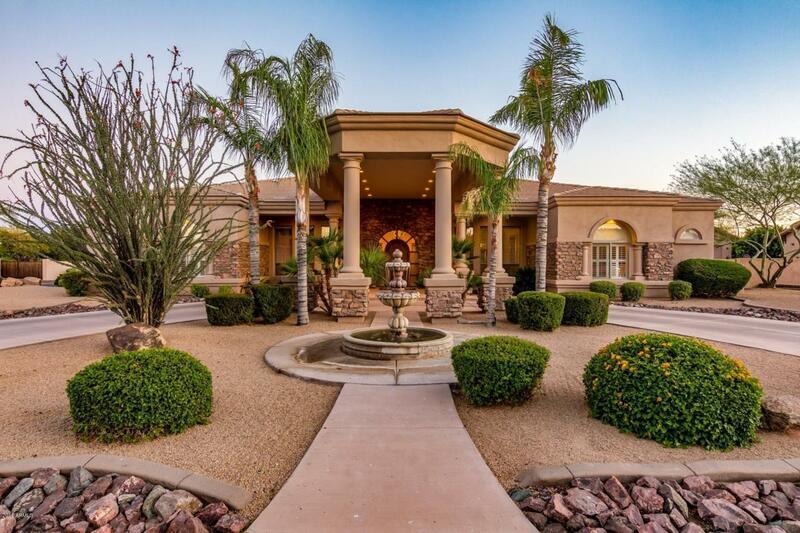 This home sits on over a 1/2 acre in the prestigious gated community of Montana De Oro in Northwest Peoria AZ. Features include: Exercise room off the Master bathroom* bonus area off bedroom 3*Jack and Jill bedrooms/bath split from the Master* Extended length & over height 4 car garage*RV gate/parking*Freshly painted* shutters & custom curtains*tall ceilings*circular drive*Beautiful extended patio area with built in bbq & an outdoor electric stove/oven & fire pit*Gorgeous outdoor landscaping & a large pool with fountains. There is room to build your own RV garage or casita, depending on plans & if permitted. 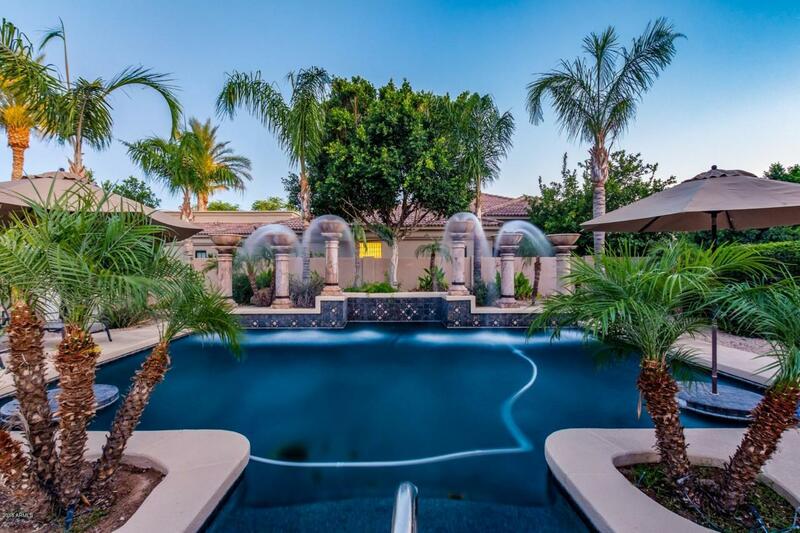 Newer hydro therapy Swim Spa*water fountain invites you into this home with covered circular drive.